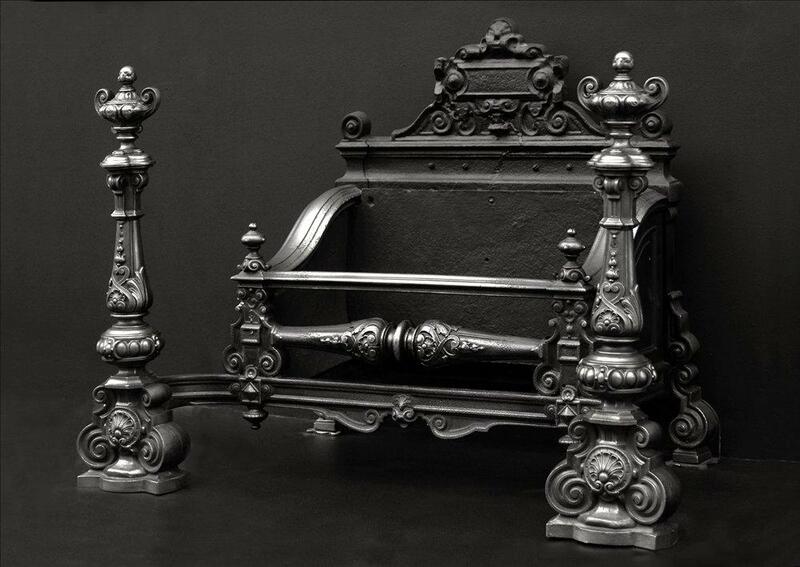 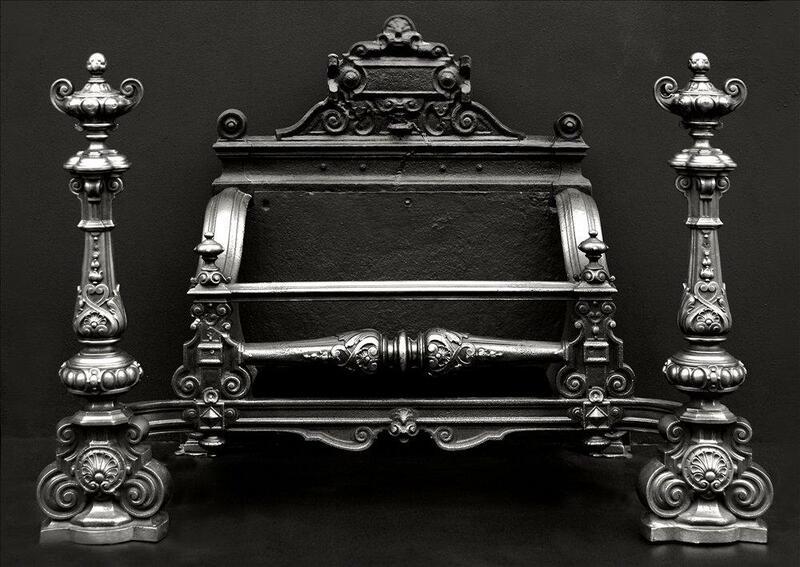 Large and impressive 19th century (circa 1850) polished cast iron Baroque firegrate of substantial proportions. The cast legs with scrolls, shells and paterae, surmounted by scroll handled urns. 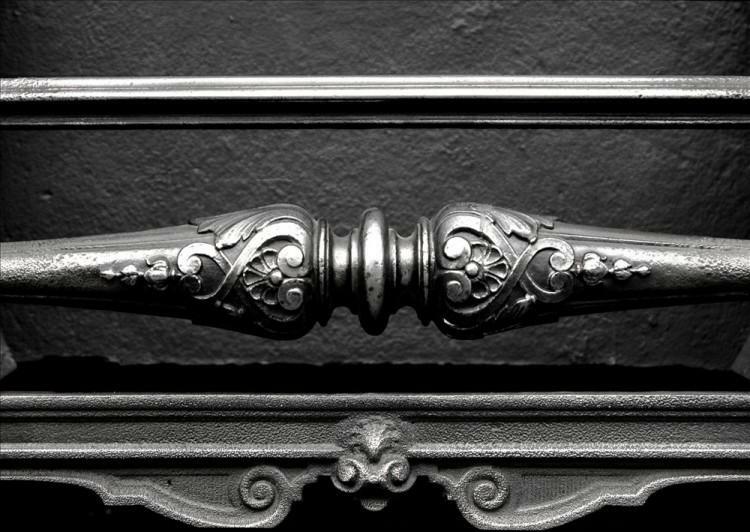 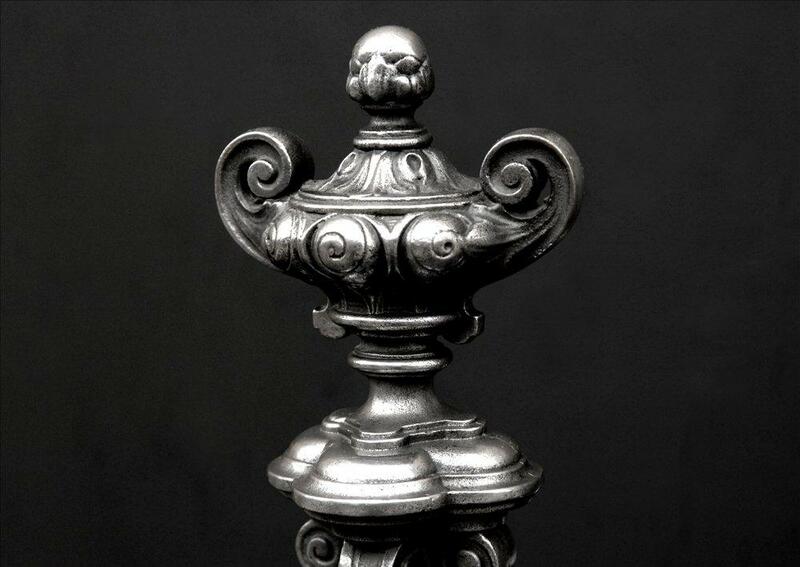 Elaborately cast centre bar, and cast back with decorative cartouche.